The "B" parents were destined to be just that; parents. When my own son was a newborn, I was frazzled and constantly on the verge of unhappy tears. Not these two! They were as cool as cucumbers, absolutely captivated by their little girl, and went about fulfilling their parental duties as if it were their greatest joy to do so. I couldn't help but be swept up in their calm assurance, their sheer bliss. 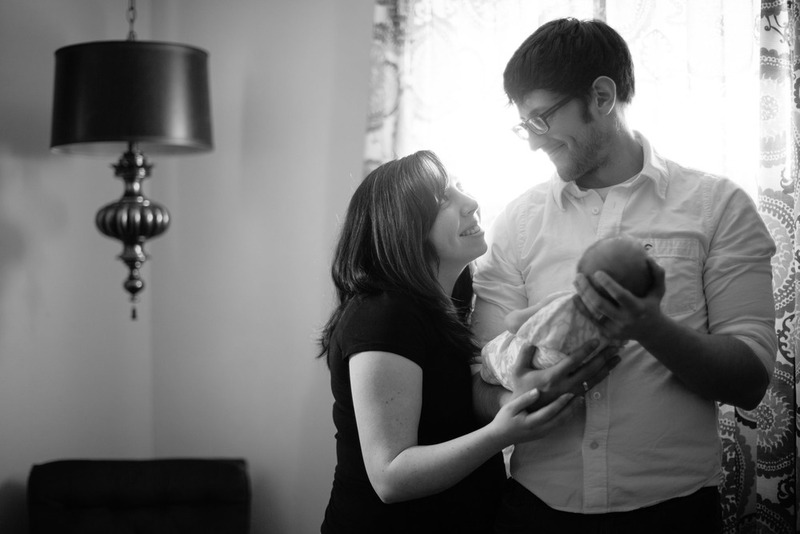 When the B parents contacted me last year and told me that they were interested in having me not only document baby E's first days, but her whole first year of life, I was nothing short of flattered. I've not yet had the chance to work with the same client more than twice, so knowing that if all goes as planned I'll have worked with the B family FIVE times by this day next year makes me giddy with excitement. So check back every three months for more photos of this beautiful family and to track the growth of little E!! !